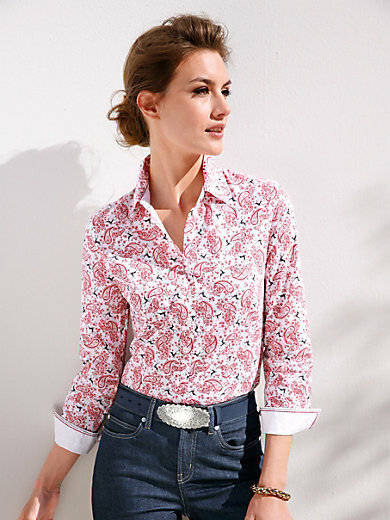 Blouse by Hammerschmid – a pure pleasure to wear in skin-friendly natural fibres with a delicate paisley print and white facings with decorative top-stitching on the inside of the collar and cuffs. Slightly tapered shirt-style cut with curved hem. 100% cotton. Length approx. 24ins. The blouse is machine washable.